A new Shantae is on the way!! The adventures of WayForward’s Half-Genie Hero continues!! Captain Marvel dazzles again in Screw Attack’s DEATH BATTLE!! Axel and Blaze throwdown in Street of Rage 4 teaser trailer!! The first Streets of Rage 4 trailer shows potential for the upcoming title. The new game being developed by Lizardcube and Guard Crush Games, and produced by DotEmu in association with Sega stays true to the side scrolling action that made the series and others like it extremely popular. The updated graphics give the game a fresh feel. We see Axel and Blaze perform classic moves such as the shoulder toss, body slams and picking up weapons, as well as show of signature moves like Axel’s Flaming Uppercut. 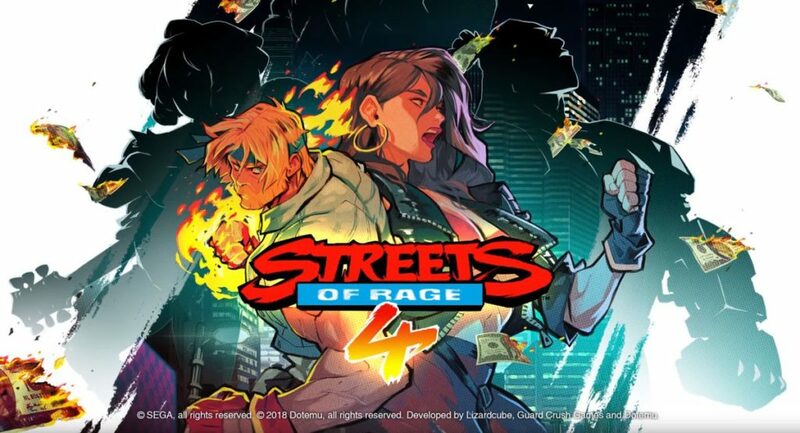 Currently, there is no release date for the game but if this trailer shows anything, Streets of Rage 4 is on its way to making an oldie a goodie again.